Spin a wheel of tasks, errands, and the menial routines that inconvenience us every day. I’m no gambler, but I’d be willing to bet that no matter where the ticker stops, there’s an app that offers to remedy the chore at your convenience. Whether they’re heavily established in the on-demand sector (Lyft, GrubHub), or trying to capitalize on this new market space that Uber has trailblazed, the on-demand app is an indisputable trend, the direct result of our collective need to digitize our lifestyle. While some doubt the sustainability of the on-demand model, its impact on the mobile app landscape is palpable. The sheer number of apps offering services at the touch of a button has led designers to treat the on-demand platform as a UX genre, developing specific practices to employ when creating an Uber-esque app. It’s 2017 and the most formative phase of the UX design process, the research, is still somehow the most overlooked. An inextricable step in the workflow of any quality UX design agency, the research phase lays the foundation for a robust, usable platform. Of course, there’s countless research methodologies and techniques to use. But which one is the best for on-demand apps? Competitive analysis is one of the most effective approaches when researching on-demand apps, because it accounts for the crowded market space these platforms occupy. When conducting user research for whatever your on-demand app may be, it’s imperative to find out what the users like and don’t like about your competition. Company position map—a common visualization of competitive analysis data. While competitive analysis should be the bastion of your research methodology, it’s important to include good ol’ fashioned user testing as well. Even Uber, the Great Disruptor, still employs rigorous user testing for their updates and new releases. The key to designing an on-demand app is to take its name literally: demand. That means streamlining the user’s workflow as much as possible, expediting their journey from A to B seamlessly. That means forgoing the pomp and circumstance and diving right into functionality. No “fun” home screens, no feeds, no needless pop-ups—the first thing the user sees is step one of their journey through your app. 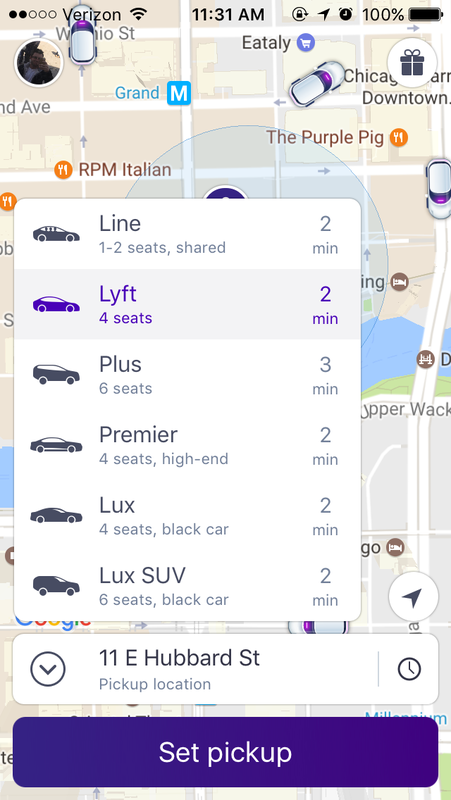 Take a look at Lyft, whose UI hub for riders immediately prompts the user to select a car and mark a pickup location on the map. 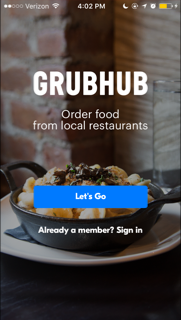 In contrast, note GrubHub’s home screen—I have to click a “Let’s Go” button before starting my order. The second screen should be the first screen. Screen after “Let’s Go” is pressed. It’s a stark divergence from the UX of other applications, like Twitter or Facebook, who don’t want to streamline your usage. Their goal is opposite to the one of on-demand apps—social platforms want you to spend as much time on them as possible, so they load their home screen with relevant content, adding bells and whistles that have no place in the on-demand realm. After submerging the user immediately into the workflow, the second most crucial UX component of your app is the tracking functionality. You’ll need to strike a precarious balance between overwhelming the user with notifications, and failing to update them with relevant developments in their order or process. The best on-demand apps offer a combination of real-time tracking and periodic notifications. 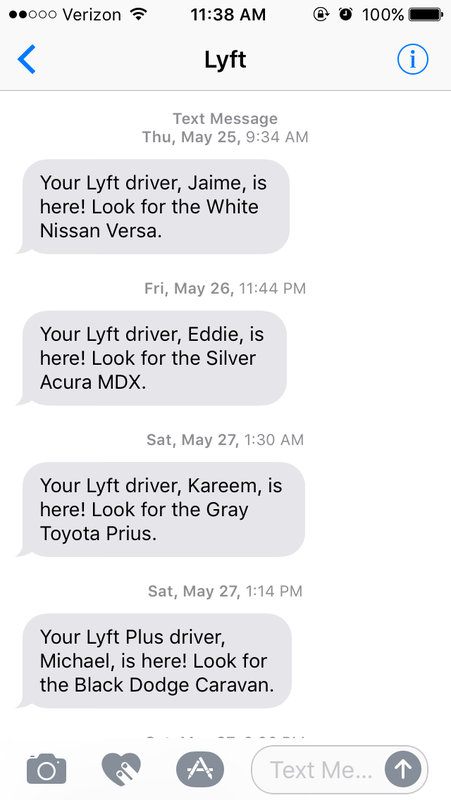 To cite the ride-sharing services again, both Lyft and Uber will send text messages when your driver is arriving soon, and when they’ve arrived. Yet if these updates aren’t granular enough, both apps also allow you to track the car in real-time, watching as it navigates its route to pick you up. 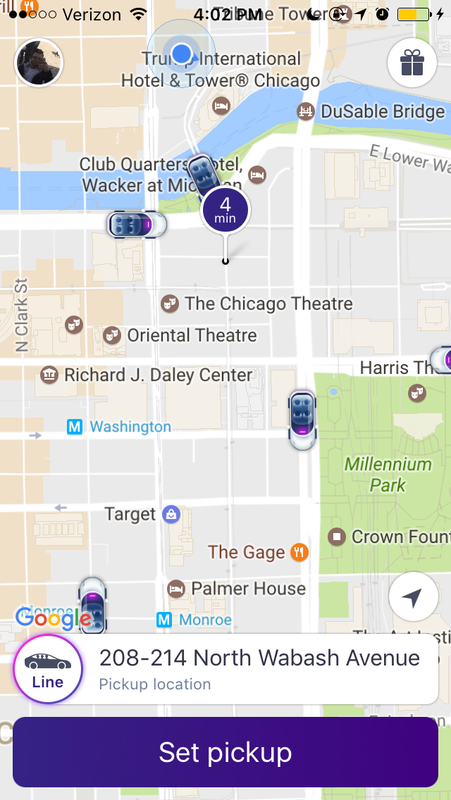 Lyft’s real-time tracking of nearby cars. While these techniques seem exclusive to delivery-based on-demand apps, the same principles can be utilized in any Uberized services. Consider an on-demand service like Wash Cycle—a company that picks up, washes, dries, and drops off your laundry—that allow their clients to track every stage of the process. 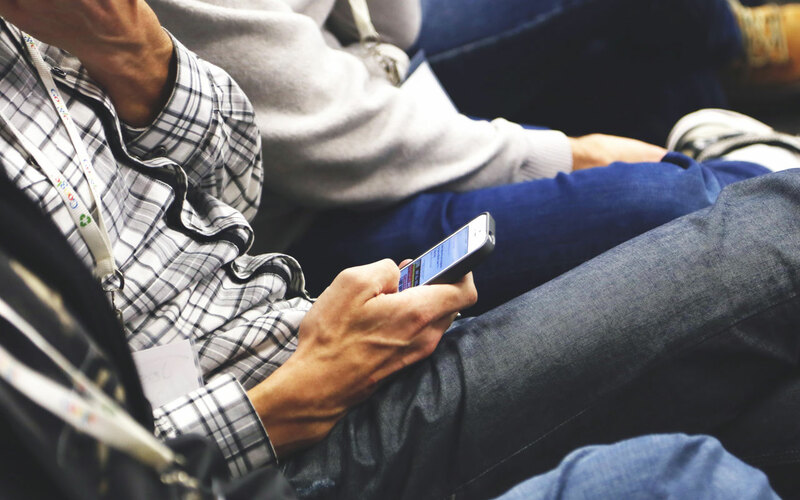 We’ve already discussed the importance of streamlining the use of the on-demand app as much as possible, and one of the best ways to accomplish this is by injecting your app with automated or adaptive functionality. Apps should learn about users and offer relevant content to expedite their workflow with your app. To return to our ridesharing example, this means recognizing frequently visited places and offering labels for easier access (home, work, etc.). Especially responsive features could even suggest a place based on what time the ride was requested. 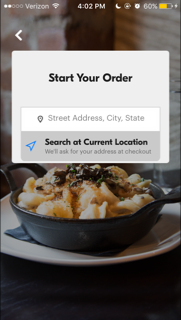 For other delivery services, like food, the app could learn the palate of its users and recommend restaurants accordingly. 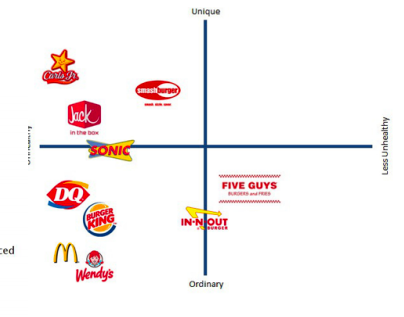 Knowing these taste preferences, the on-demand platform could offer relevant deals and discounts to its audiences as well. If we compare the most popular on-demand apps in the marketplace today, design patterns emerge that offer a glimpse into what makes these platforms so successful. The commonalities these App Store titans share form the basis for the guidelines described above. While these guidelines aren’t comprehensive, they’re a solid checklist to follow, whether you’re creating an application yourself or enlisting the services of a UX design agency. In fact, I’d argue it’s important to learn the UX design of on-demand apps whether you’re building one or not—these apps encapsulate the digital age we’ve constructed. They promise speed, seamlessness, personalization; the attributes we expect our technology to offer today. Understanding their appeal means understanding their users, and that’s priceless knowledge for UX designers of any kind.